Adam Scott wins the Barclays at Liberty National with a blemish free 66 to win by one over Graham Delaet and three others. Starting the final day a distant 6 strokes behind the leaders, Adam had to put up a low number for any shot at the title. On the front, Adam made three consecutive birdies to reach nine under par. He closed out the front with a few pars and posted a 33. Liberty National continued to firm up and Adam continued his normal ball striking clinic. Scott added a couple more pars before birdies at 14 and 16 to reach 11-under par. Two more pars gave Scott the lead in the clubhouse. With many players still on the course the ending was very much in doubt. Scott said in his post round interview, "I am really happy with my game," continuing in his usually casual manner, "It was a positive to get back into the mix at the other majors, and I am pushing hard to get another win -- if not this week, then I will try harder next week." Scott retired to the driving range to stay loose and catch the action on a large Jumbotron-like screen across the way. He watched on as all players wilted, none of them mustering up the birdies to catch up on the treacherous Liberty National track. As the final competitor missed his birdie bid at the last, Adam embraced his caddy as the 2013 Barclays Champion. 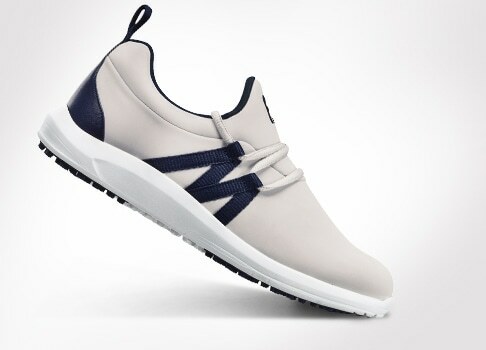 Adam Scott opted for the lightweight comfort and stability of the FJ Sport golf shoe, "The power is coming from the ground and my connection to the ground is through my shoe, so it's important that I am in control throughout my golf swing, and I believe the FJ Sport is the shoe that can do that for me." 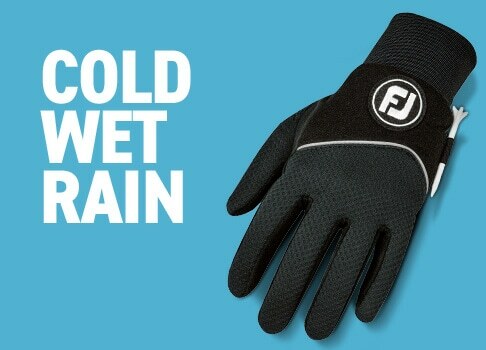 Scott also uses the FJ StaSof golf glove,"It's so important you have a good feel through your glove, it is your only connection to the club." This is Adam's second win of the of the 2013 season; it also moves him to 2nd in the race for the FedEx Cup. 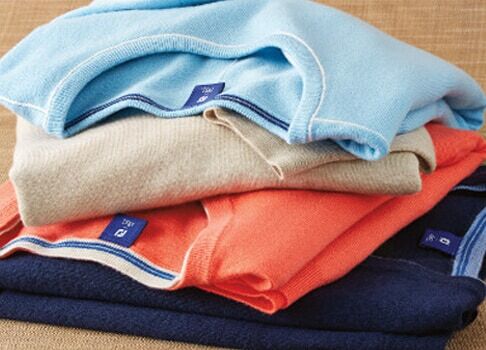 CLICK HERE TO ENTER FJ WINS YOU WIN! NO PURCHASE NECESSARY. Void where prohibited. Open to US residents 18 years or older. Sweepstakes will begin at 12:01AM ET on 08/26/2013 and end 08/29/2013 at 11:59PM ET. Check out this video to see what Adam keeps in his golf bag! Being no stranger to the big stage, 2011 Fedex Cup Champion Bill Haas found victory at the always-daunting Congressional Country Club. Beginning the day in a four way tie for first place, Haas knew he could not just back into the title. Haas made an early birdie at the second before giving a stroke back to par at the 5th. Even par for the day heading into the 8th, Haas rolled in a 12 foot birdie to reach 8 under for the tourney. On the following hole, Haas hit another brilliant approach setting up another birdie. Then on the treacherous par 3 tenth, Haas rolled in his third consecutive birdie to take a two shot lead over fellow FJ Staffer Roberto Castro. Castro stuck with Haas over the back nine but could not chip away at his lead. Haas led by at least two over the entire back nine and calmly rolled in a three foot putt for par at the last to take home the title. "I just kept the ball in front of me,'' Haas said. "Nothing too crazy.'' Always humble, Haas adds a fifth PGA Tour win to his record and moves to 7th in the 2013 Fedex Cup race. Haas relied on the lightweight stability of his FJ Sport golf shoes throughout the week. NO PURCHASE NECESSARY. Void where prohibited. Open to US residents 18 years or older. Sweepstakes will begin at 12:01AM ET on 07/01/2013 and end 07/4/2013 at 11:59PM ET. Journeyman, Ken Duke wrapped up a playoff victory at the Travelers Championship for his first PGA Tour win in 187 starts. Winning on the PGA Tour sometimes requires a little luck, Duke's approach into the tenth hole ricocheted of off a greenside tree to within five feet of the pin. Duke converted the birdie and proceeded to birdie three more holes on the back nine, en route to a final round 66. His four round total of 12 under par placed him into a playoff. The playoff was short lived as Duke birdied the second hole of sudden death to secure the win. "You gotta believe in yourself in everything you do," Duke said. "That's why those guys at the top are winning week in, week out because they believe they can do it. It's kind of one of those things once you finally do it it might come easier the next time. That's kind of the way I feel." Ken Duke opted for the lightweight performance and stability of the FJ Sport during his winning performance. An emotional Simon Thornton dedicated his maiden European Tour victory to his late father after the Irishman held his nerve to claim the Najeti Hotels et Golfs Open title in a play-off and fittingly on Father’s Day. Thornton (FJ Sport & StaSof) holed several tricky putts on the back nine but left his best till last on the final hole, as he drained a ten-foot putt to take it to extra holes. Under the most intense of pressure, the 36 year old rolled it into the cup and clenched his fist in celebration as he signed for a one under par 70. He kept his cool once again in the play-off, finding the fringe of the green, The Irishman then rolled a perfectly-weighted putt from 30 feet which slid just left of the hole, ensuring his par and most importantly the win. Born in Bradford, England, he moved to Ireland to become an Assistant Professional at Royal County Down Golf Club before rising through the Irish professional ranks to the Challenge Tour and then The European Tour. “Hopefully this is a stepping stone for me,” he said. “I’ll go home this week now and celebrate, take a week off, and then play in the Irish Open. “Last year was a huge disappointment on The European Tour after getting there through the Challenge Tour. Mikko Ilonen cruised to a three shot victory at the Nordea Masters, winning his first European Tour title for six years at Bro Hof Slott. After turning in 34, Ilonen (FJ ICON & StaSof) then birdied the 11th from 12 feet, before his only set-back with a three-putt bogey at the long 12th. A sublime chip to three feet at the next quickly atoned for that error, and there were no dramas over the closing stretch. A three under par 69 ensured a 21 under total and three shot victory margin for the Finn. Ilonen had been a runner-up in Morocco before finishing second to Brett Rumford in China already this season, and was pleased with the way he dealt with those disappointments. “To bounce back this soon is really good,” he continued. “It’s really satisfying, but the show I saw in China - I didn’t lose the tournament, Brett won it, so hats off to him." “Obviously I’ve been waiting for this moment for a few weeks now. People have been expecting me to win but most of all I’ve been expecting myself to win, so to pull it off here after those second places is very satisfying." Coming off major heartbreak at last year's Open Championship, Adam Scott knows what major pressure feels like on Sunday of a major championship. With that experience in his rear view, Adam Scott put on a performance for the ages winning the 2013 Masters in a playoff over Angel Cabrera. Adam Scott began the day one stroke behind the leaders, at six under par. Opening his final round with a bogey, Adam quickly gained the stroke back with a long left-to-right birdie putt at the third to climb into contention. Parring out on the front, left Scott three strokes behind then leader Cabrera. With ground to make up, Adam narrowly missed the hazard on the heavily protected par five 13th green. A chip and a short putt gave Adam birdie, closing the gap on the leaders. Scott struck again hitting the par five 15th green in two shots and two putting for a birdie, which put him putting in a tie for first place. After just missing birdie bids on 16 and 17, Scott had a downhill 20 foot birdie putt on the 72nd hole of regulation. After much deliberation with his caddy, Scott stood over the putt and brushed it in the low side of the hole, exploding in emotion as it rattled around the bottom of the cup to reach nine under par. Not to be outdone, grizzly veteran and two-time major champion, Angel Cabrera knew a birdie was needed to have any hope of another green jacket. Splitting the fairway, Cabrera then stuck his approach shot to a mere putters' length. Cabrera converted the birdie bid forcing the playoff with Scott. On the first hole of the sudden death playoff, both players launched drives right up the center of the narrow, punishing fairway. Hitting their approach shots, both players hit the green only to spin off one of the steep Augusta National false front's. Cabrera was outside of Scott and missed his birdie chip by inches. Splitting pars, Scott and Cabrera headed to the 10th where Bubba's famous hooked gap wedge occurred the previous year. Hitting the ski sloped fairway in regulation, both players hit brilliant shots into the green leaving makeable birdie putts for the win. Cabrera putted first, facing a slippery right-to-left slider, and missed ever so slightly on the high side giving Adam a putt for the win. Taking his time to find the perfect read Scott stood over his putt drained it to become a Master's Champion. This is Adam's first Major Championship and first Master's Championship for an Australian born player. 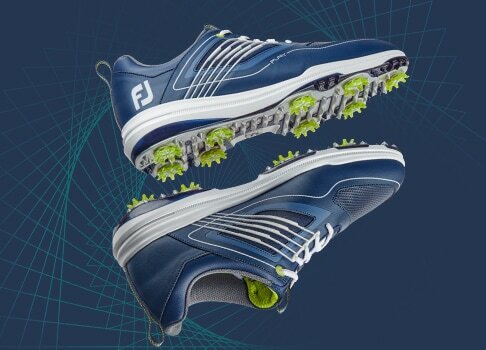 "All of the power is coming from the ground and my connection to the ground is through my shoe, so I believe I need to be in control and connected to the ground throughout my golf swing and I believe the FJ Sport can do that for me." said Adam Scott on why he chooses FJ Sport. 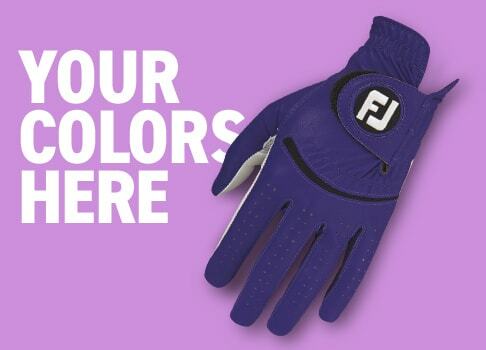 Continuing, "All the feel in this game comes through your hands and I choose StaSof because it gives me the feel I am looking for in a golf glove." 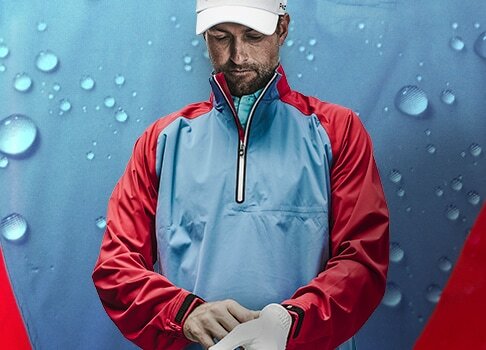 FJ WINS, YOU WIN : Click here for your shot to win FJ Sport and StaSof just like Adam Scott used en route to victory. NO PURCHASE NECESSARY. Void where prohibited. Open to US residents 18 years or older. Sweepstakes will begin at 12:01AM ET on 04/15/2013 and end 04/018/2013 at 11:59PM ET. 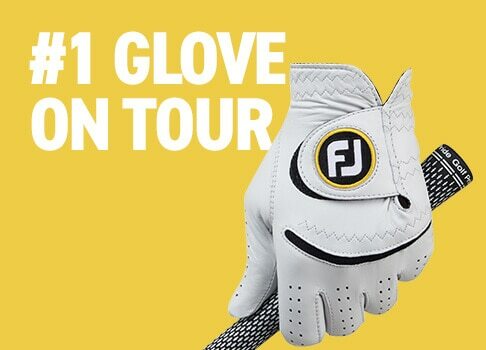 FJ Community Only - First Major of the Year Sweepstakes - SIGNED "BUBBA" GLOVE INCLUDED TO ALL WINNERS! The major of the year is upon us and excitement is stirring for the first tee shot to fly across the hallowed grounds of Augusta National! With countless story-lines abound and many of the games top players in peak form it should prove to be yet another historic major championship. 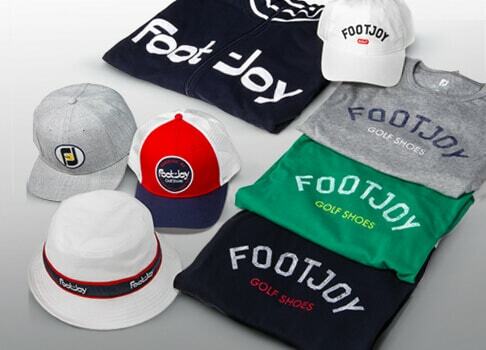 Furthermore, since this is often considered the beginning of the golf season for many players, we would like to extend you the opportunity to win some new FJ products to begin your season! How do you enter? Simply add a comment and tell us the FJ player you feel will finish highest on the leaderboard each day of the tournament. You may stand behind a player all week or pick a new leader everyday. Winners on Thursday and Friday will receive a half dozen gloves of their choosing (PureTouch excluded). 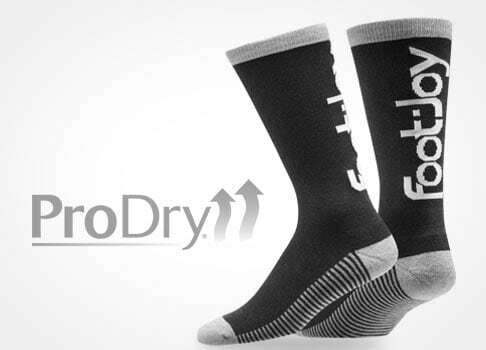 The winners on Saturday and Sunday can choose between any single style of DryJoys Tour, FJ Sport, or M:Project. IMPORTANT: In the event of ties (which we know there will be) one winner will be chosen at random amongst those choosing correctly. Only your original picks will be counted so do your research! FJ PLAYERS ONLY: Click here to view FJ players in order by world ranking. Furthermore, you can only win one time even if you are correct on multiple days. Deadline for your picks is 9:01 am ET on 04/11/12. Void where prohibited. Open to US residents 18 years or older. For additional rules and regulations click here. POSTS ALSO GO THROUGH A HUMAN MODERATOR, SO PLEASE BE PATIENT WHEN WAITING FOR YOUR POST TO APPEAR. We will also be throwing one of these signed Bubba Watson GTxtreme gloves for all winners! D.A. Points came back from a nearly three hour rain delay to win the Shell Houston Open by one stroke over Henrik Stenson and Billy Horschel. Beginning the day one back, Points made six birdies in the first 14 holes, racing to a one stroke lead before play ceased. With a two year PGA Tour exemption and a Masters invitation on the line, D.A. made clutch pars on the final four holes including up and downs on the final two to post the clubhouse lead at 16 under. No one could catch the total, which gave D.A. his second PGA tour victory. Points trusted his XPS-1 golf shoes and FJ Sciflex glove en route to his win, "The XPS-1 gives me the comfort and stability I need to play my best golf." 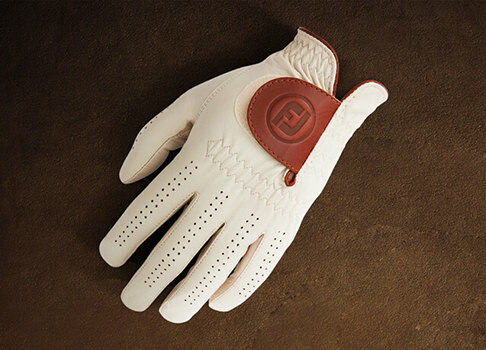 Continuing, "The SciFlex fits my hand and is breathable for the hot conditions we always play in." 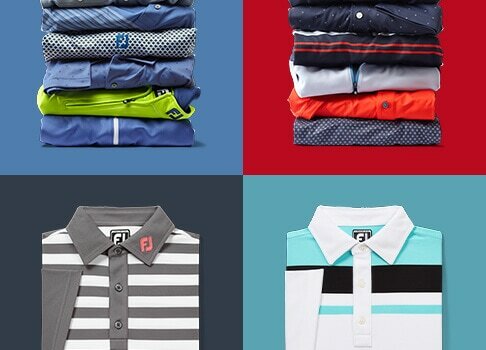 Seven different FJ styles graced the top 25 of the Shell Houston Open. D.A. opted for max stability of the XPS-1, second place finisher Billy Horschel went for fashion forward performance in FJ Icon MyJoys. Other players in the top 25, Ben Crane in Contour, Oothuizen in DryJoys Tour, Bill Haas in FJ Sport, Westwood in FJ Icon, and Wheatcroft in the M:Project. 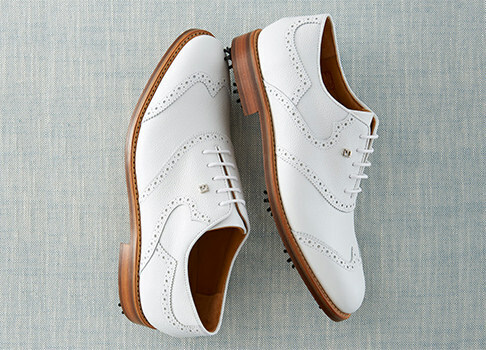 FJ truly has a shoe for every golfer and every swing. FJ WINS, YOU WIN : Click here for your shot to win XPS-1 and SciFlex just like D.A. Points used en route to victory. NO PURCHASE NECESSARY. Void where prohibited. Open to US residents 18 years or older. Sweepstakes will begin at 12:01AM ET on 04/1/2013 and end 04/04/2013 at 11:59PM ET. Another Multiple Win Weekend for FJ! Kevin Streelman (in FJ ICON and SciFlex) tamed the daunting Innisbrook Copperheard course to claim his first PGA Tour title in his 153rd PGA Tour start. Entering the weekend at even par, Streelman played his next 36 holes at 10 under, not dropping a single shot over the stretch. The ten under total was good enough to take home a two stroke victory. "I just stayed really patient and had a peace about me today...It’s such a tough golf course where you’ve got to pick your battles.” said Streelman of his controlled round. The win earns Streelman an invitation to this years' Masters Tournament. FJ WINS, YOU WIN : Click here for your shot to win FJ ICON and SciFlex just like Kevin Streelman used en route to victory. NO PURCHASE NECESSARY. Void where prohibited. Open to US residents 18 years or older. Sweepstakes will begin at 12:01AM ET on 03/18/2013 and end 03/21/2013 at 11:59PM ET. On the European Tour, Thomas Aiken won the Avantha Masters with a final round 67 to win by three strokes. Aiken, in FJ ICON MyJoys, shot all four rounds in the 60's, including a blistering ten under par 62 on Saturday to race to the top of the leaderboard. Aiken carded twenty-one birdies and two eagles versus only two bogeys over the 72 holes of tournament play. This is Aiken's second European Tour Victory; the win also moves Aiken into the top 100 on the official world golf rankings. Stacy Lewis has captured the world number one position with a win at the RR Donnelly LPGA Founders Cup. Entering the final round four behind, Lewis in FJ Sport BOA and StaSof, biridied nine of the final 18 holes to run away with a three shot victory. Lewis's 23 under par total set a tournament record. This is Stacy's seventh LPGA Tour victory and second of 2013. Three Weekend Wins for FJ! Michael Thompson survived the brutal weekend conditions at PGA National to claim the Honda Classic by two strokes over former U.S. Open Champion, Geoff Ogilvy. Already eight under at the halfway point of the tournament, Thompson looked to be the man to beat over the weekend. Playing at the top of the leaderboard, Thompson carded 4 bogeys and 4 birdies en route to his Saturday even par, 70 tally. The eight under total was good enough to earn Thompson a share of the 54 hole lead with fellow FJ staffer Luke Guthrie. Playing in the final group for the second straight day, Thompson struck early with an eagle at the par 5 third hole to reach ten under par. Thompson dropped a shot at the next, but answered with a birdie on the following hole. Thompson, in FJ ICON and StaSof, managed to grind out a one under front nine, leaving him at 9 under for the championship. Continuing his conservative play, Thompson made six straight pars before three putting for bogey at 16 -- a hole Oglivy birdied to get within two of Thompson. Ogilvy birdied 17, as well, to get within one of the Alabama grad, Thompson. Staying poised, Thompson rattled off a birdie on the last to shut the door on his competitors for his first PGA Tour victory. NO PURCHASE NECESSARY. Void where prohibited. Open to US residents 18 years or older. Sweepstakes will begin at 12:01AM ET on 03/04/2013 and end 03/07/2013 at 11:59PM ET. On the LPGA Tour, 2012 Player of the Year Stacy Lewis continued her world beating play by winning the HSBC Women's Championship in Singapore. Tied for the lead at the start of the day, Lewis grinded through the first six holes at even par. She then launched a drive at the par five seventh hole leaving her only 200 yards to the stick. in FJ Sport BOA and StaSof, she hit what she considered one the best shots of her career nearly jarring the shot for albatross, she settled for the eagle and control of the tournament. Lewis added another birdie at the ninth to remain at the top of the leaderboard. Playing with the lead is difficult even for a Player of the Year, "The last four or five holes, I was pretty nervous, I'm not going to lie," Lewis said post round of playing with the lead. Despite late bogeys, she would hold on for a one shot victory. The victory is her sixth on the LPGA Tour. The win moves Cantlay to the top of the Web.com money list. Hometown favorite and fifth ranked player in the world, Adam Scott shot a 5-under 67 to win the Australian Masters at Kingston Heath in Melbourne. Starting the day one stroke back, Scott wasted little time birdieing the first to draw even with the 54 hole leader. Scott, in FJ Sport and StaSof, then added four more birdies on the front making the turn with a one stroke lead. On the back nine, Scott added eight straight pars before making birdie at the last to finish at 17 under par, four clear of his closest competitor. This is Scott's first win of the 2012 season. Scott later stated of his win, "This has been a long time coming, This is pretty sweet to be in the gold jacket and hold this trophy that I've been admiring since I was a little kid." "This has been a long time coming," Scott said. "This is pretty sweet to be in the gold jacket and hold this trophy that I've been admiring since I was a little kid. Scott Stallings shot a tournament record 24-under par 264 to win the True South Classic at Annandale GC in Madison, Mississippi. Over the second and third rounds, Stallings raced to the top of the leaderboard with back-to-back bogey free 8-under par 64's. The pair of 64's gave him a one stroke lead over fellow FJ Staffer Billy Horschel heading into the final day of competition. Stallings, in FJ Sport and Pure Touch Limited, played steady and methodical golf during his final round, making pars and picking up birdies where he could. Then with the tournament on the line, Stallings made birdies on 16 and 17 to take a two shot lead into the final hole. Stallings calmly made par at the last to add a second PGA Tour victory to his resume. Stallings stated post round of his second career win, "Anytime you win on the PGA TOUR it's special. A lot of things and people went into winning this tournament and I'm very thankful." FJ Wins, You Win - Click for your chance to win FJ Sport and Pure Touch Limited just like Scott Stallings used en route to victory! NO PURCHASE NECESSARY. Void where prohibited. Open to US residents 18 years or older. Sweepstakes offered from 12:01a.m. ET on July 23, 2011- July 26, 2011 at 11:59 p.m. ET. The FJ Tour Insider is back and this week we are covering the Irish Open. The strong field and major-esque venue has created much buzz around this event, leading to the first ever sell out of a non-major European Tour event! With the British Open just around the corner, many FJ players are using this as a tune up for next month's major at Royal Lytham and St. Annes. FJ Ambassadors, Rory McIlroy and Padraig Harrington are looking to give their thousands of local followers a good showing this week, hopefully with a win! It should be a great week of golf on the rustic Northern Irish coastline. In 1996, a young Lee Westwood won his maiden European tour victory at the Nordea Masters. Now fast forward to 2012 and Westwood has added another Nordea Masters to his impressive worldwide resume. Westwood, in FJ Sport and SciFlex, shot rounds of 68, 64, 68, and 69 to reach the -19 under par total, five clear of his closest competitor. “I played really well this week - you don’t win tournaments by five shots without playing well.” Westwood later said of the impressive victory. He then added some levity to the moment," It feels really special winning here another time – I’ve won it in three decades now which just shows how old we’re getting!" This is Westwood's 22nd career win on the European tour. Westwood will now head to The Olympic Club in San Francisco for his shot at the U.S. Open. In the opening two rounds he will be paired with fellow FJ staffers Rory McIlroy and Luke Donald. Jason Dufner (XPS-1 and FJ Apparel) won the HP Byron Nelson Championship in dramatic fashion by holing a 25 foot birdie putt on the last hole of regulation to win by one over fellow FJ staffer, Dicky Pride (FJ Sport and SciFlex). Beginning the day with the lead, Dufner fell behind with early bogeys on two and three. He bounced back quickly with a birdie on the fourth, fifth, and seventh holes to join the leaders at nine under par. He added a birdie at ten to retake the lead alone. Dufner, first in greens in regulation and second in driving accuracy, birdied the sixteenth hole to keep pace with surging playing competitors. On the final hole, with a hazard left and trees right, Dufner launched his tee ball straight up the middle. With only a short wedge shot left, Dufner played a shot to the middle of the green, 25 feet from the pin. He then poured in the downhill, right to left putt for the one stroke victory. Post round Dufner stated, "You probably couldn't dream it any better than what's been going on here" Continuing, "The wedding has been in the works for close to a year, so we know that's been coming around the corner. And there's been a lot of good golf since then, but to win two events and get married in the span of 22 days, pretty remarkable." This is Dufner's second win in his past three starts. The win also moves him to the top spot on the FedEx Cup leaderboard and into third place on the Ryder Cup points list. 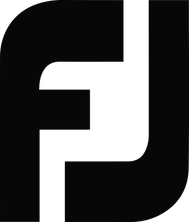 FJ Wins, You Win - Click here for your chance to win XPS-1 and FJ Apparel like Dufner wore en route to victory in Dallas. This Sweepstakes will begin at 12:01AM ET on 05/21/2012 and end 05/25/2012 at 11:59PM ET.